Enterprise FoodsEnterprise Foods’ meat products have been linked to a listeria outbreak that has killed more than 200 people. A food-poisoning outbreak has killed 212 people and sickened hundreds more. A South African meat-production plant was the root of the listeria outbreak. The incident is the largest listeria outbreak ever detected, according to the World Health Organisation. A food-poisoning outbreak has killed more than 200 people. 212 people have died in a listeria outbreak stemming from a meat-production plant in Polokwane, South Africa. The country’s National Institute for Communicable Diseases has confirmed more than 1,000 cases of listeriosis since the outbreak began in January. Newborns were the most likely to be impacted by the outbreak, with 91 babies under the age of 28 days old dying as a result of listeriosis. Almost 450 newborn children were confirmed to have been infected. Listeria infections are typically caused by eating contaminated food. Most healthy people under the age of 65 will have symptoms such as diarrhoea and fever, though these infections are rarely diagnosed. The infection is much more dangerous for older adults, people with weakened immune systems, and pregnant women (as it can cause miscarriages, stillbirths, and newborn death). Typically, roughly 1,600 people get listeriosis each year, and about 260 die, according to the Centres for Disease Control and Prevention. The most recent major listeria outbreak in the US was in 2011, when seven people died after eating contaminated cantaloupe. Enterprise FoodsEnterprise Foods’ homepage soon after the recall was announced. 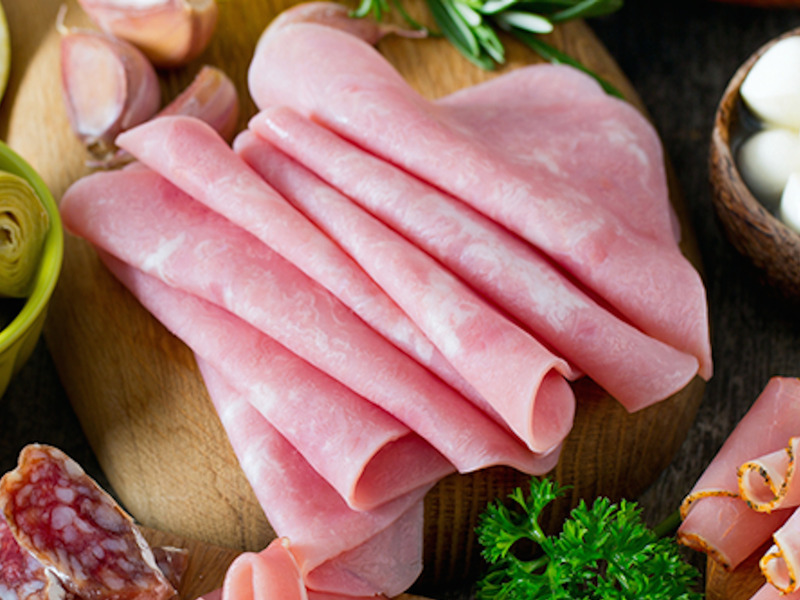 The meat-production plant, Enterprise Foods’ Polokwane production facility, issued a recall on its ready-to-eat processed meat products on March 4. 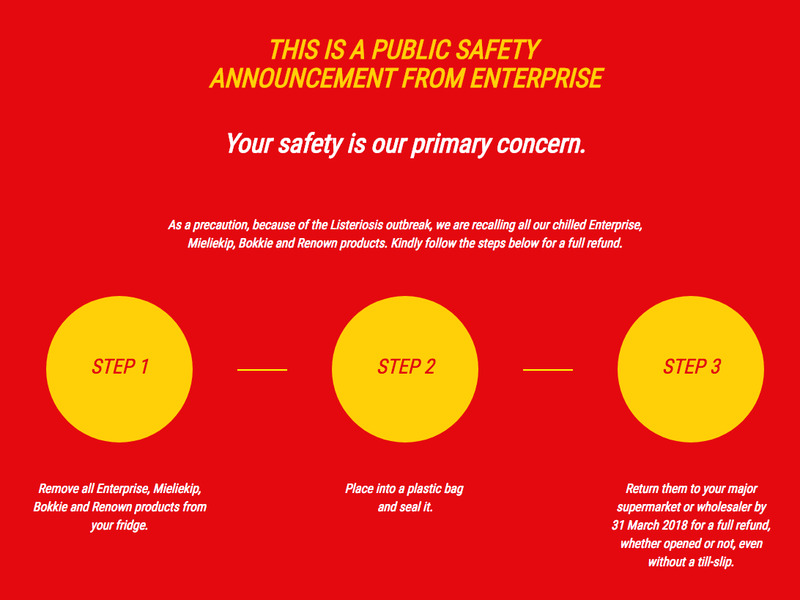 The homepage of Enterprise Foods’ website features a public safety announcement explaining how the company has responded to the outbreak. The incident in South Africa is the largest listeria outbreak that has ever been detected, the World Health Organisation said earlier this year. WHO additionally expressed concern that the outbreak could spread to different countries and is offering assistance in monitoring and diagnosing listeria, if needed by governments.